Have you updated your sample displays recently? If your displays are 4-5 years old or older, please contact us to order new color strip sets or mini-panel sets. We manufacture artistic, hand applied glazes, which help account for the natural variations within an order and from run to run. But also, take note that raw materials change over time, mines close, new mines open, ceramic stain manufacturers change colors, making some variations out of our control. We work very hard to maintain color consistency but perfection is not always possible. 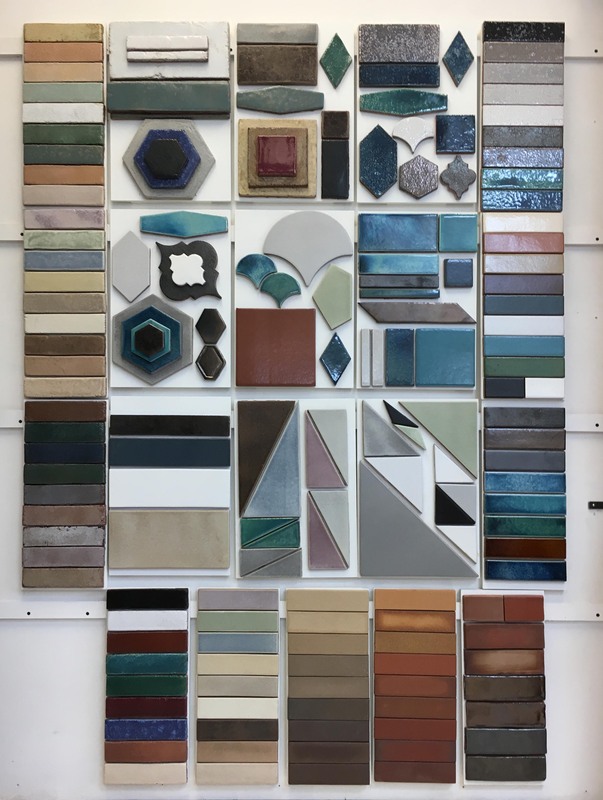 We pride ourselves in continuing to offer colors that are, in some cases, 30-40 years old, making additions to older projects possible, and not requiring changing out displays of collections every 5-6 years, but sometimes exact matches of older samples is not possible. Also, please remember that pre-shipment loose samples are always available if you are ever in doubt.